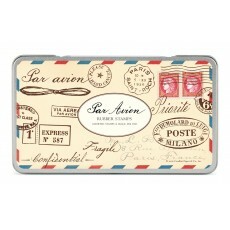 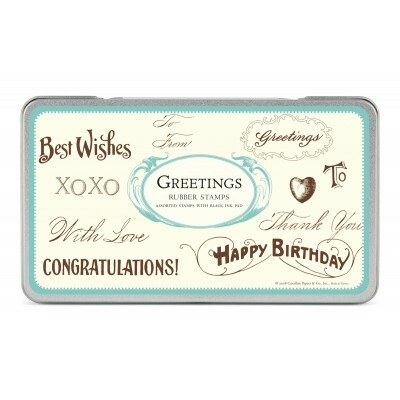 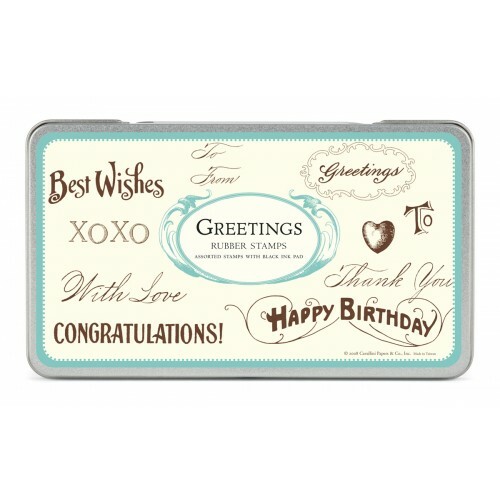 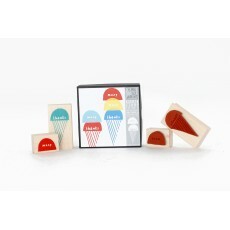 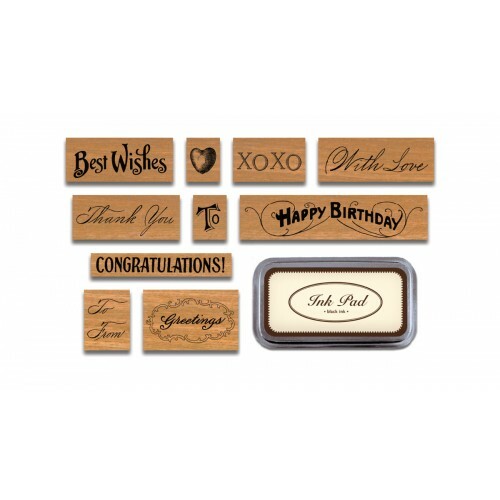 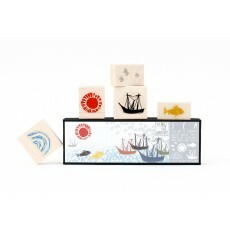 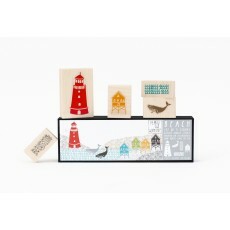 Assorted wooden rubber stamps packaged in a tin. 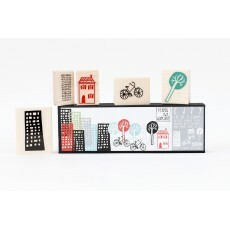 Each set includes a black ink pad. 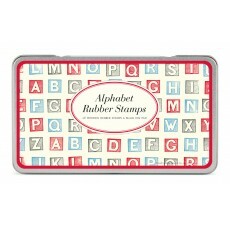 High quality stamps based on authentic vintage deisgns.